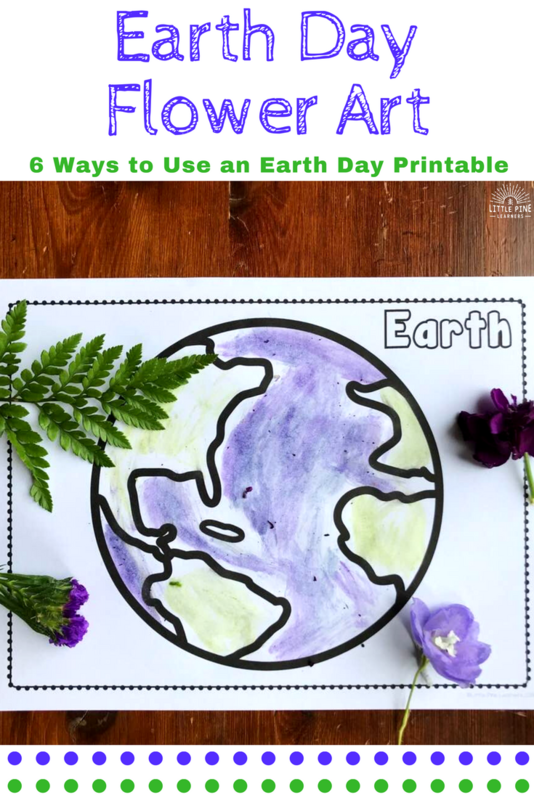 Looking for fun ways to use an Earth Day printable? Here are 6 simple and creative ways to decorate the Earth this spring! With Earth Day right around the corner, we’ve been busy learning about all of the ways to keep our Earth beautiful. 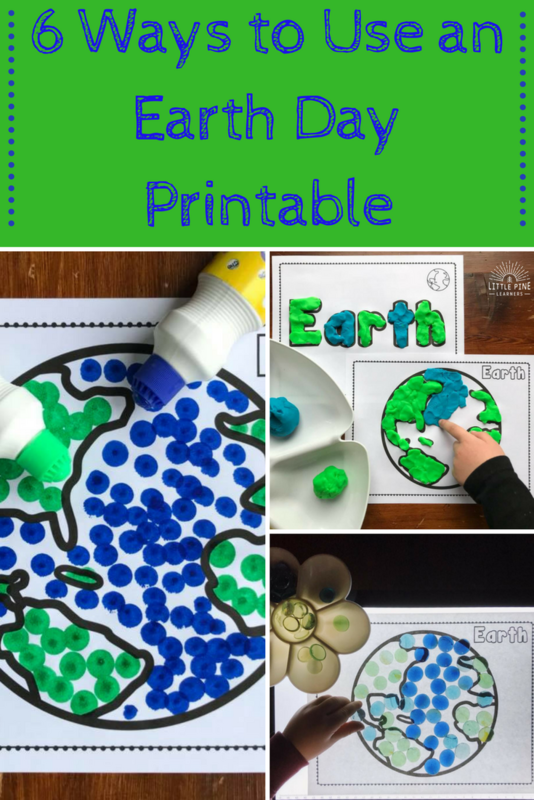 I decided to create these low prep Earth Day playdough mats and sorting activities because our household has been so crazy lately and I needed something quick and easy to support their learning. 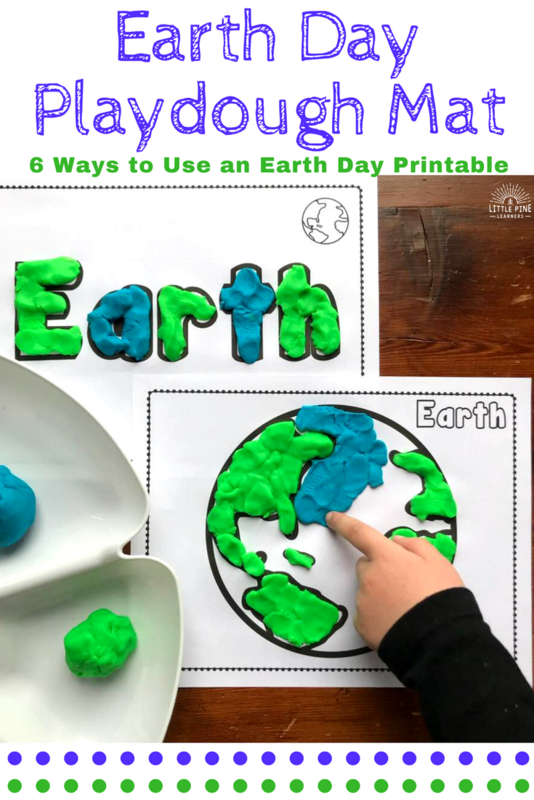 There are 18 different playdough mats included in this packet, but I decided to focus on the Earth option for this post. I hope you find some inspiration here! Have you ever tried coloring with flowers and leaves? It’s always a fun process and the results are beautiful! Grab some flowers from your garden or a wilting bouquet and give it a try. My boys love experimenting with different plants to see which ones leave the most vibrant colors. Just rub the flowers and leaves right on the paper and be amazed! You’ll find some plants work better than others, so try a wide variety. We love stickers in our house! They are great for working on fine motor skills and fun to peel. 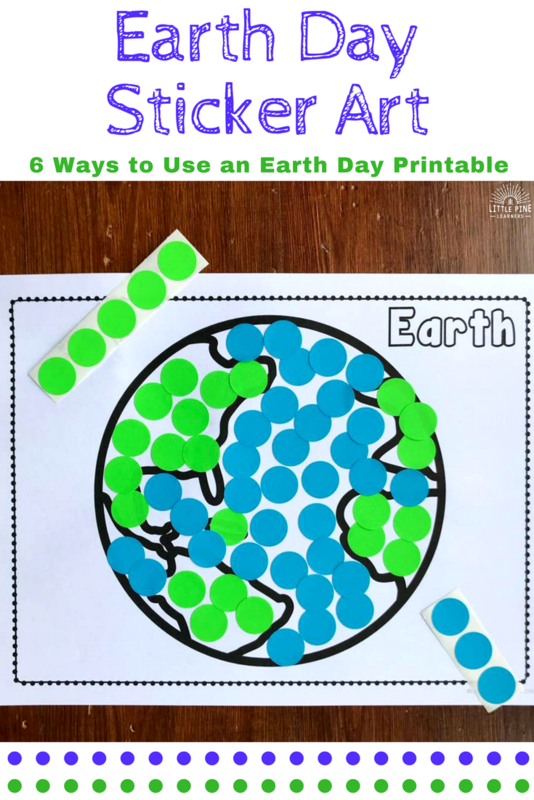 We used some leftover blue and green stickers from another project for this activity. 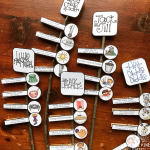 This simple activity was a huge hit with my boys! 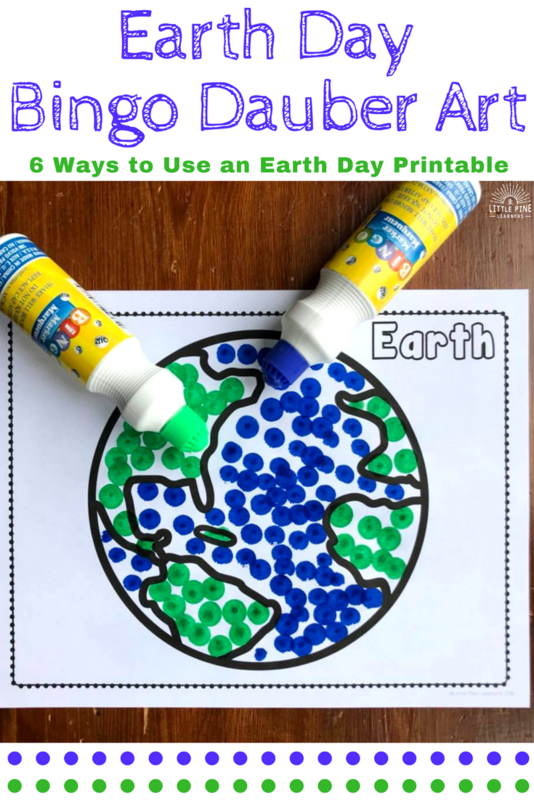 How beautiful is this Earth Day invitation to create?! 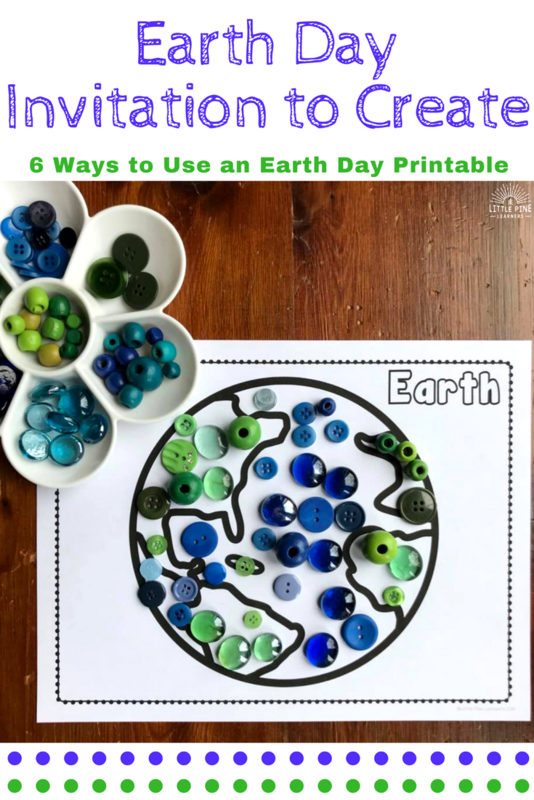 Set out blue and green loose parts you have around the house with the Earth printable and I guarantee your children with start tinkering and exploring with the materials. If you don’t have a light pad, you need one! We use ours all the time for a variety of activities. They help create an inviting learning space and draw children in to any activity. 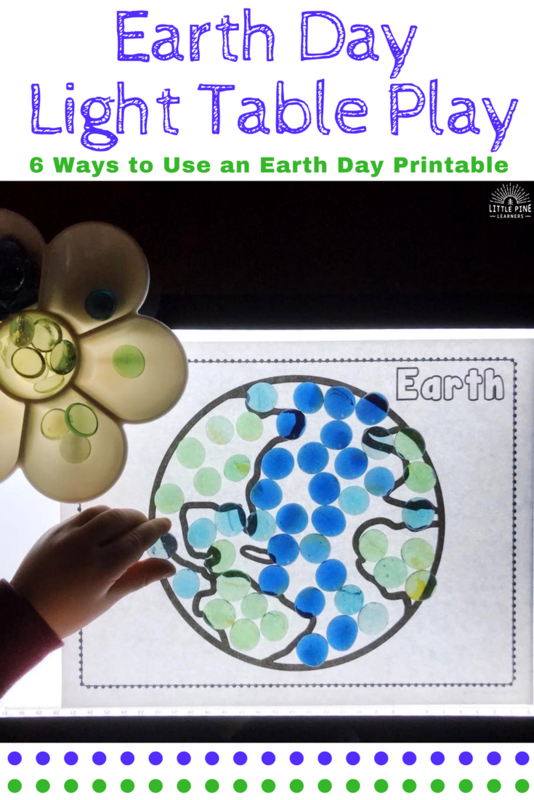 I put our Earth printable on top of the table and set out blue and green gems. Just as expected, my boys noticed the setup and started exploring right away. Here is another activity that’s great for working on fine motor skills and hand-eye coordination. Bingo daubers turn any boring printable into a child magnet! I swear every time I put these things out, my boys come running over to play with them. Just dab them on paper and make your own piece of art! Make sure you get the washable kind. I’ve learned this lesson the hard way…several times. I hope you give these fun activities a try! 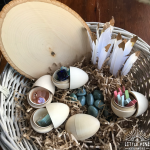 I promise, your little nature lovers will love them as much as my boys. 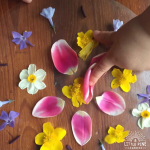 « A Simple and Beautiful Nature Craft to Try Today!